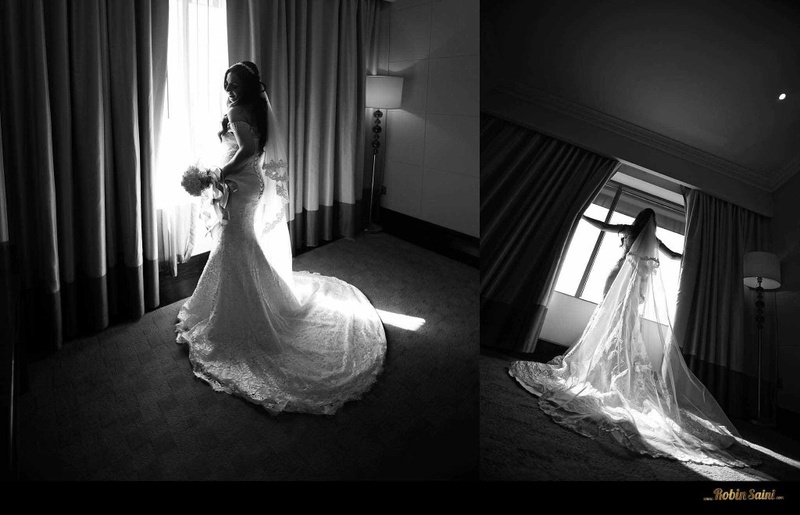 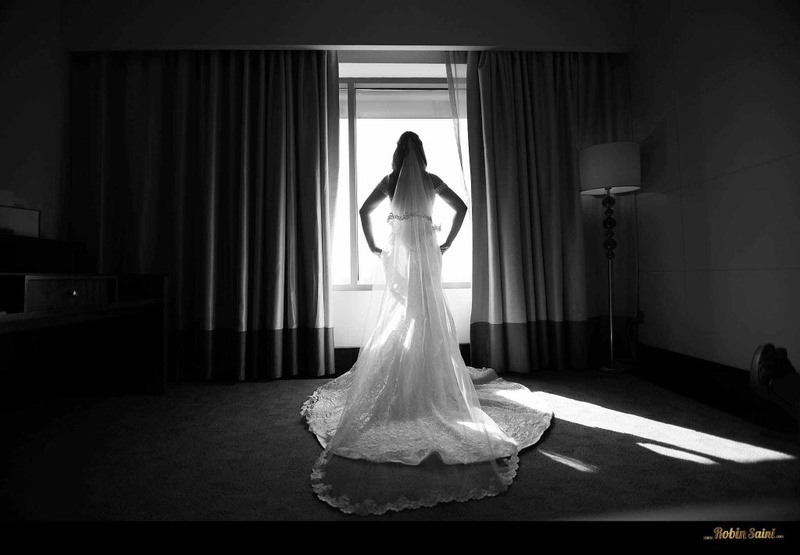 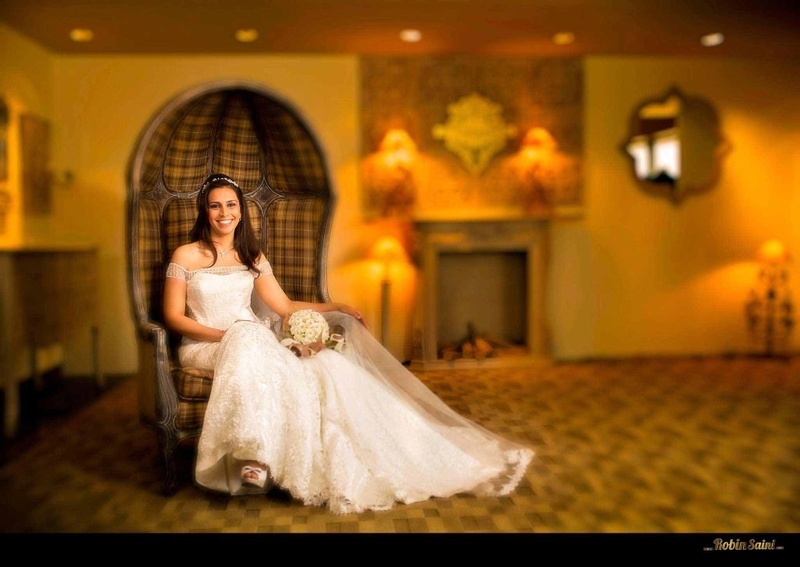 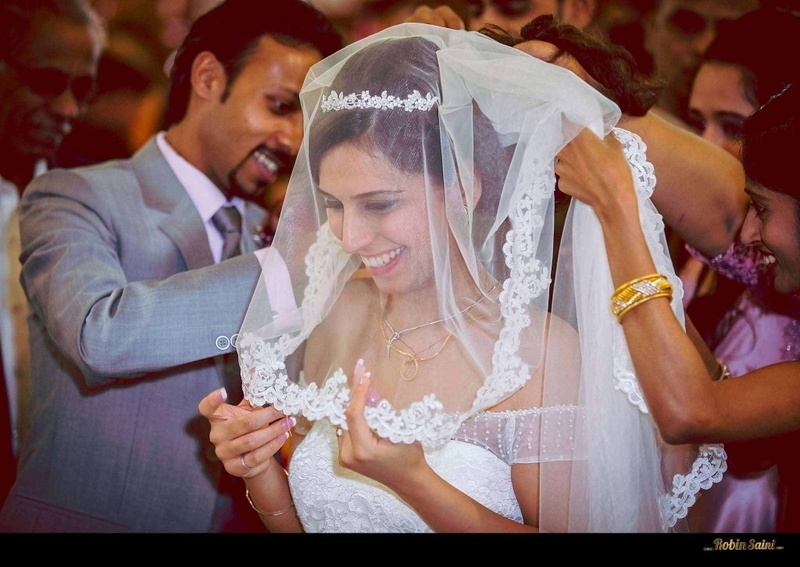 The moment we heard this gorgeous bride say these words, we could sense the unmatched happiness and toil in her voice. 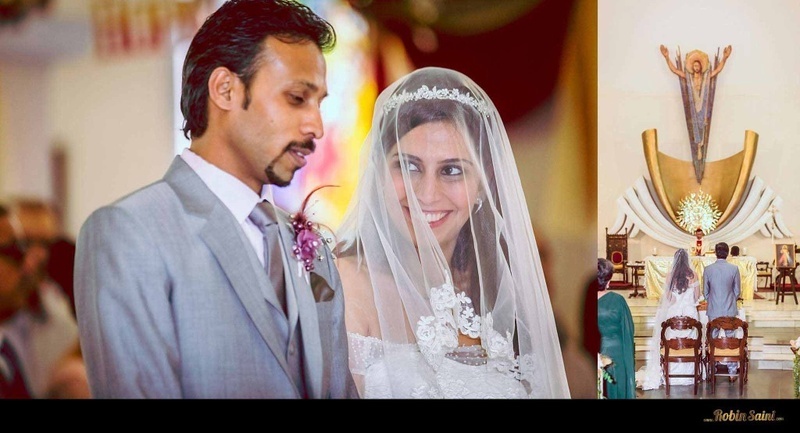 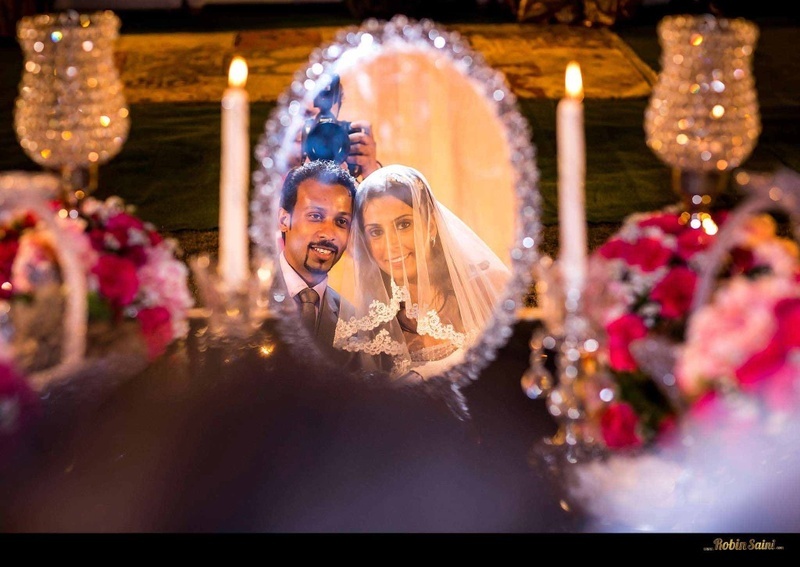 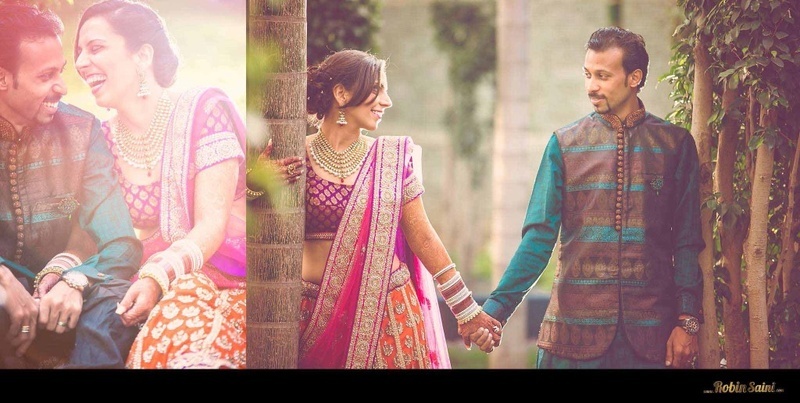 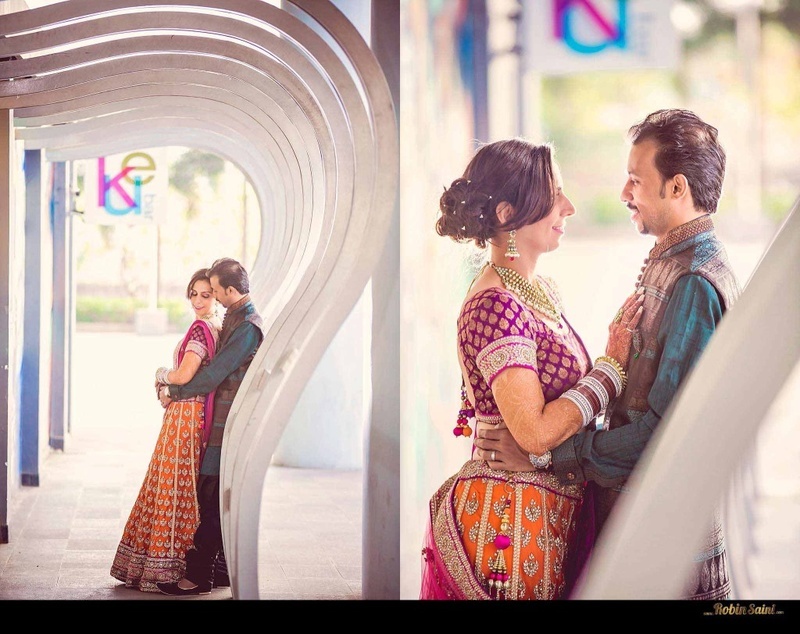 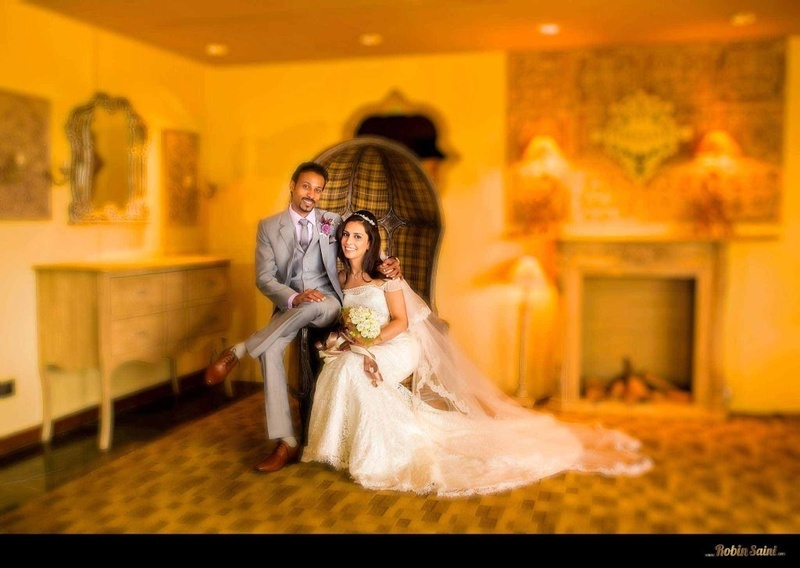 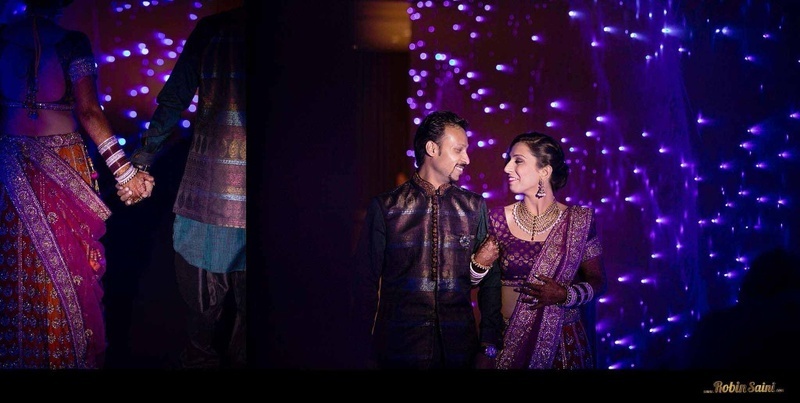 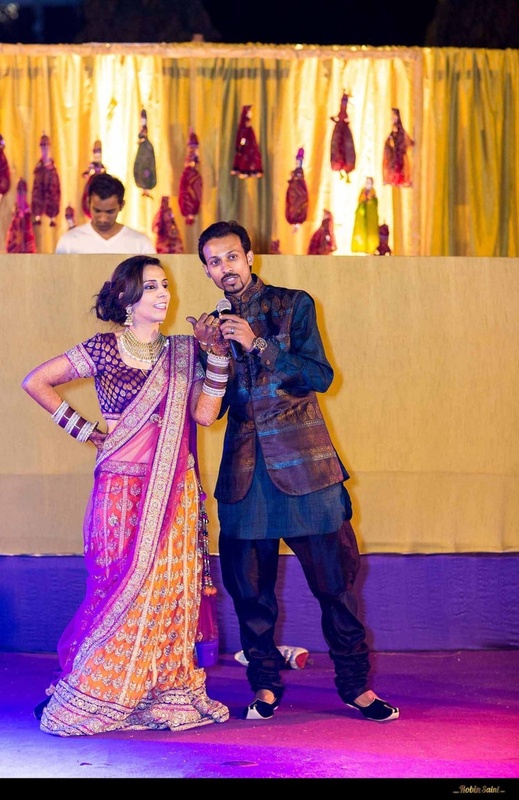 Cross-cultural marriages are perhaps a challenge in India, but love always seems to find its way – Siby and Nazareh’s union is proof. 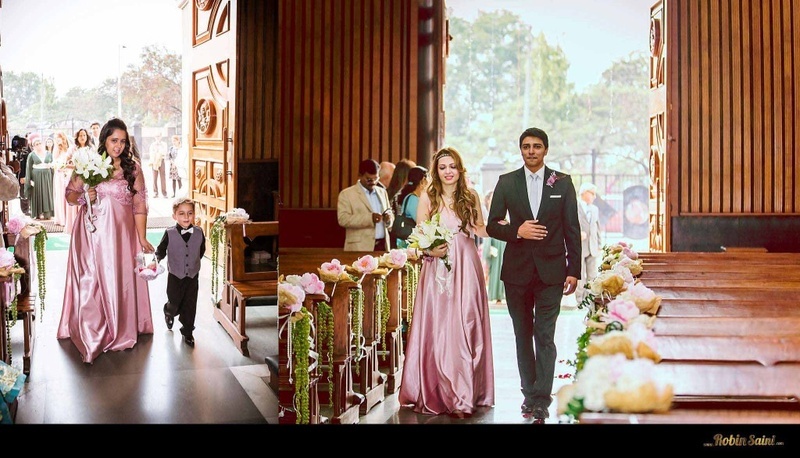 They couldn’t even imagine a day were they would be getting married, or even getting their parents to agree but destiny gave them double. 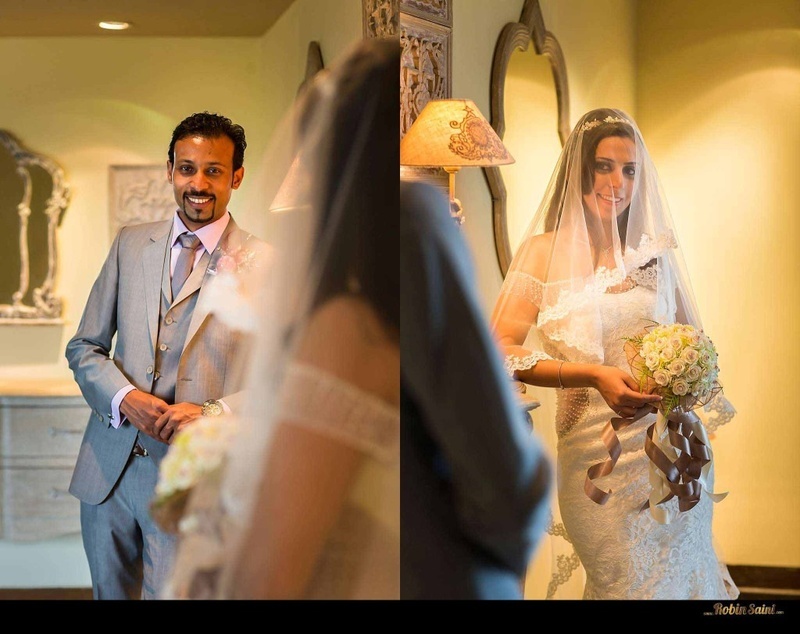 Two weddings. 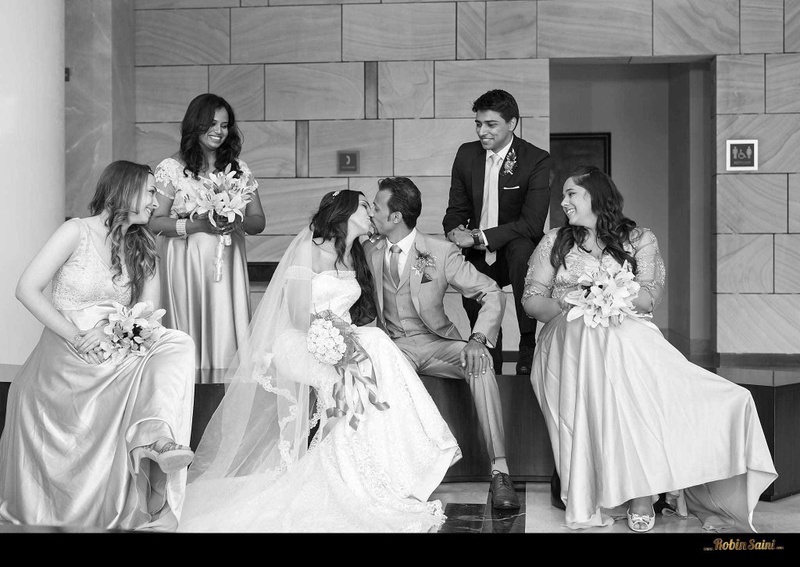 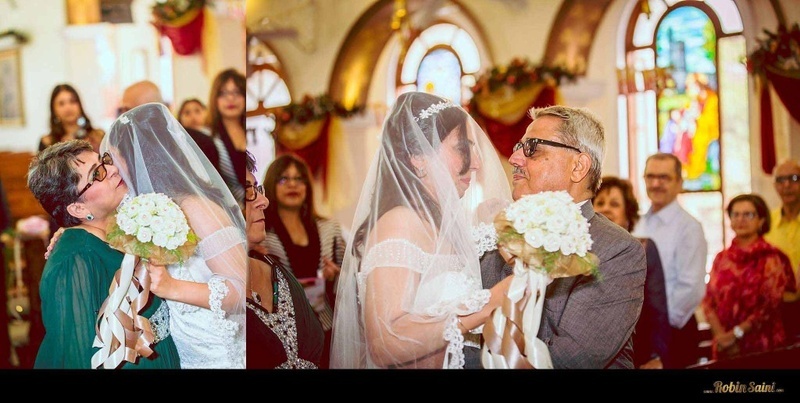 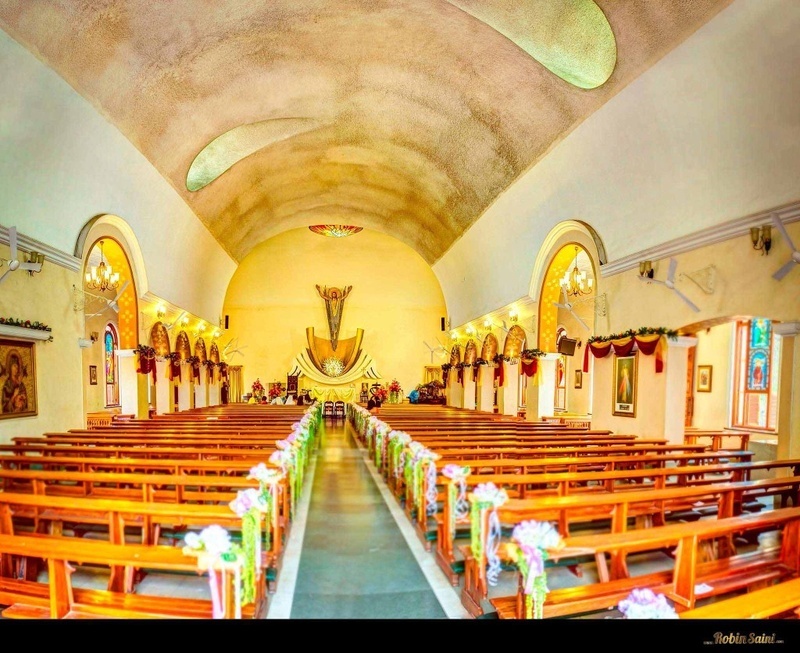 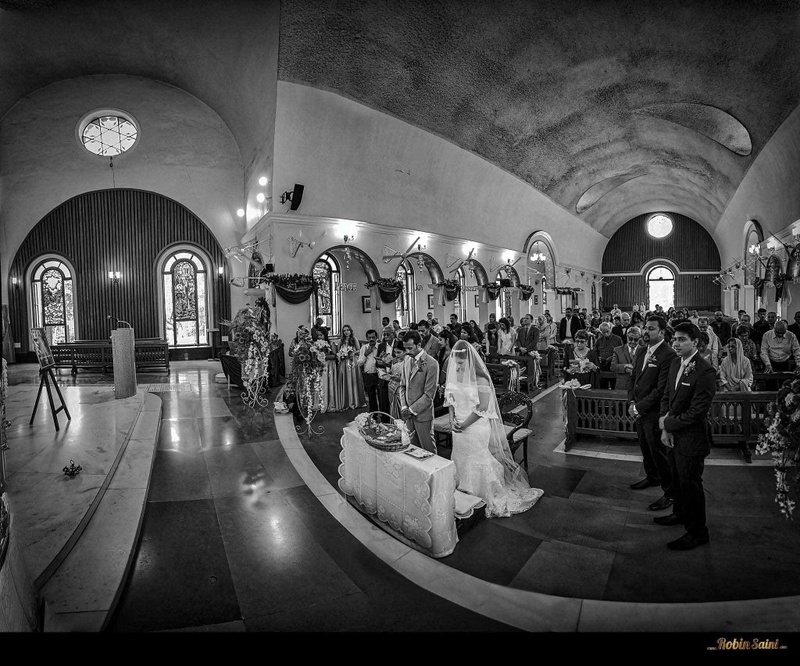 An elegant Catholic church wedding as well as a Nikah. 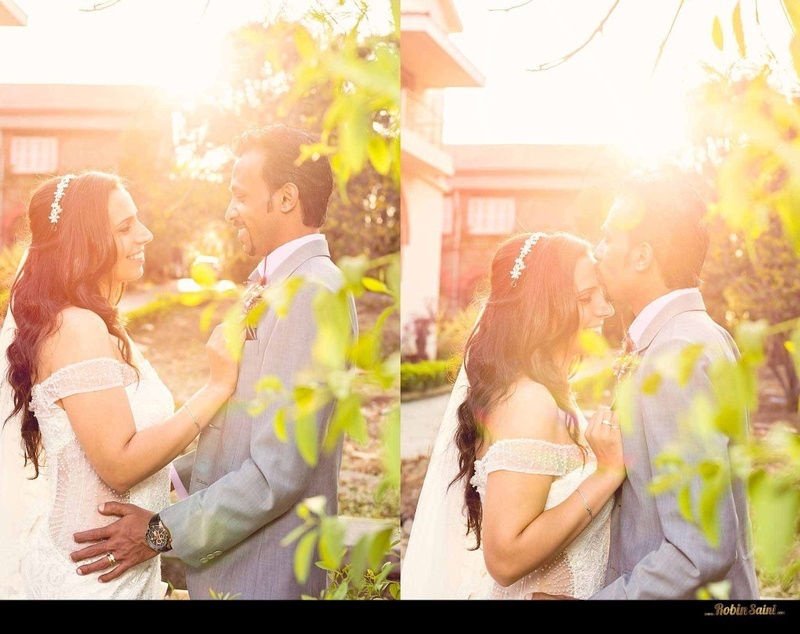 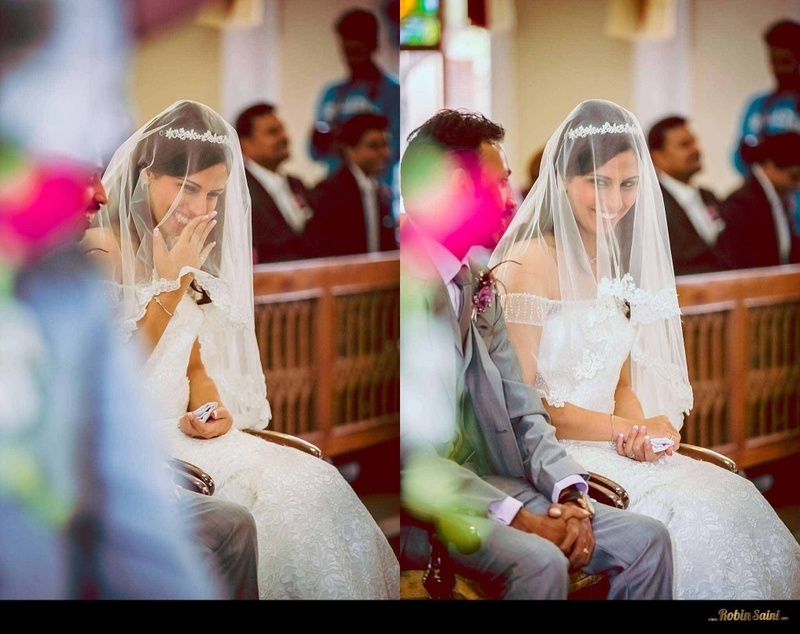 As beautiful as the emotion behind each word shared was their entire wedding ceremony. 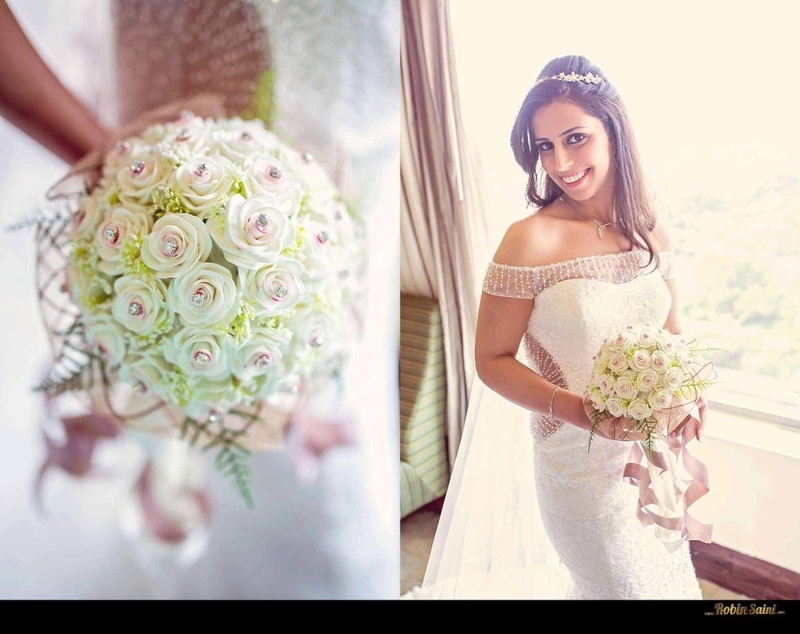 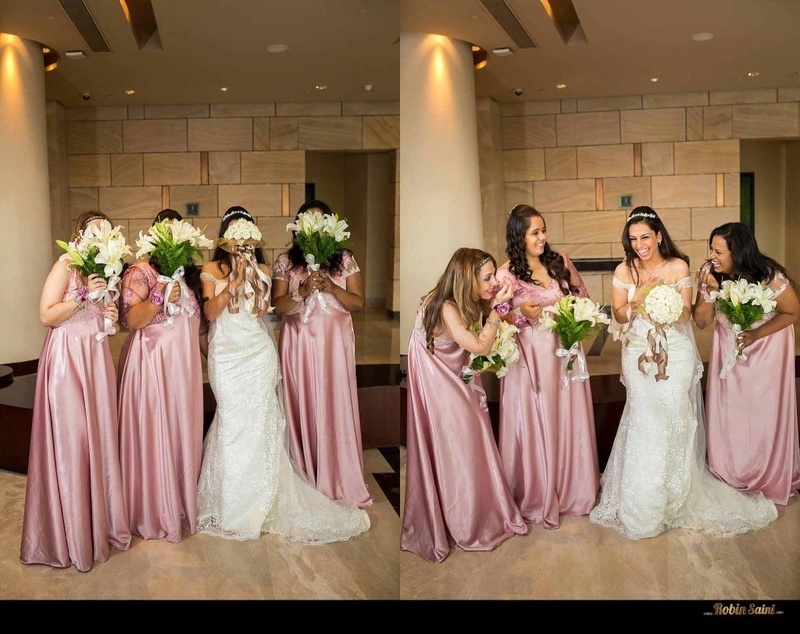 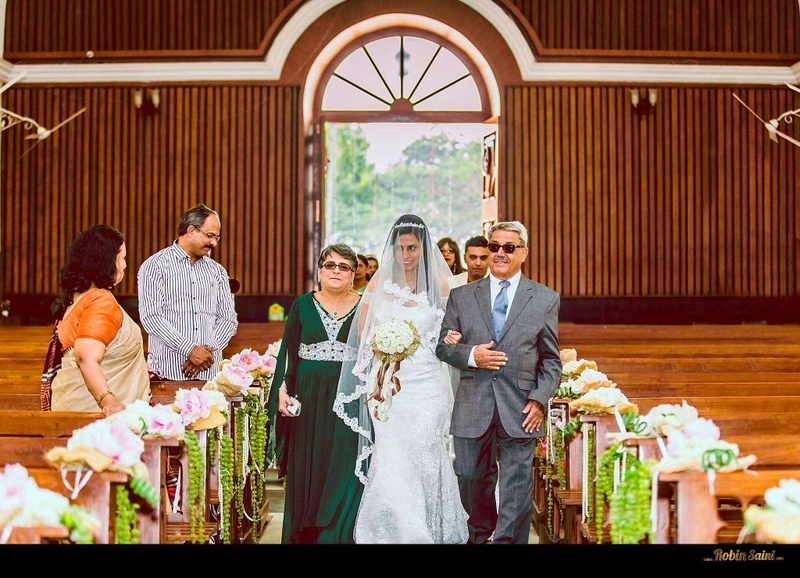 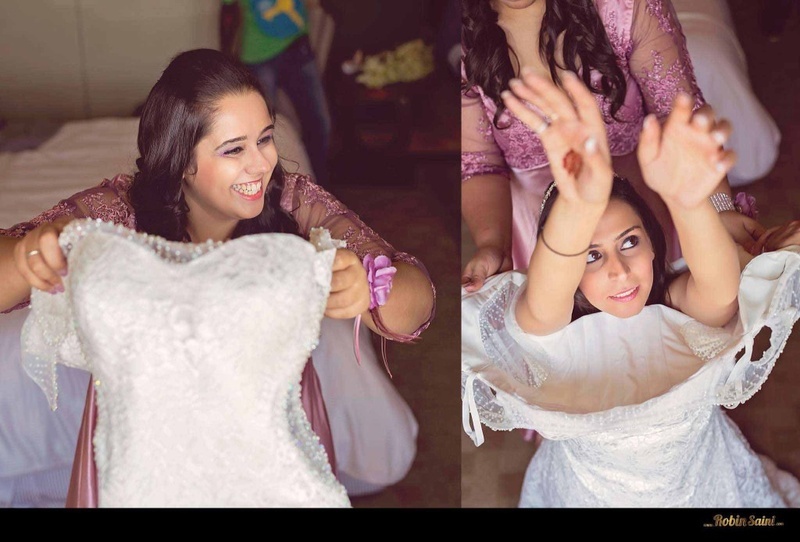 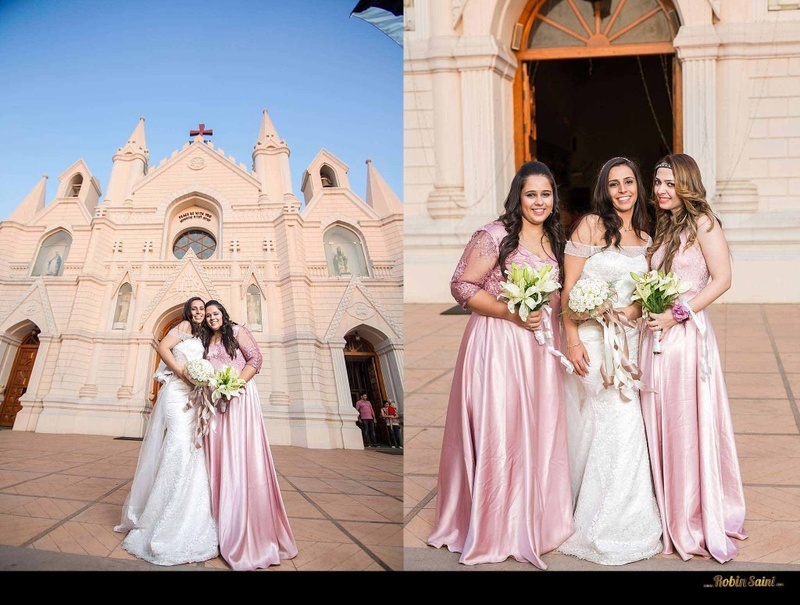 The Roses in hues of pink and white with twirled ribbons were adorned on each pew of the church, as Nazareh walked down in a cut-out white wedding gown with delicate crystal embellishments. 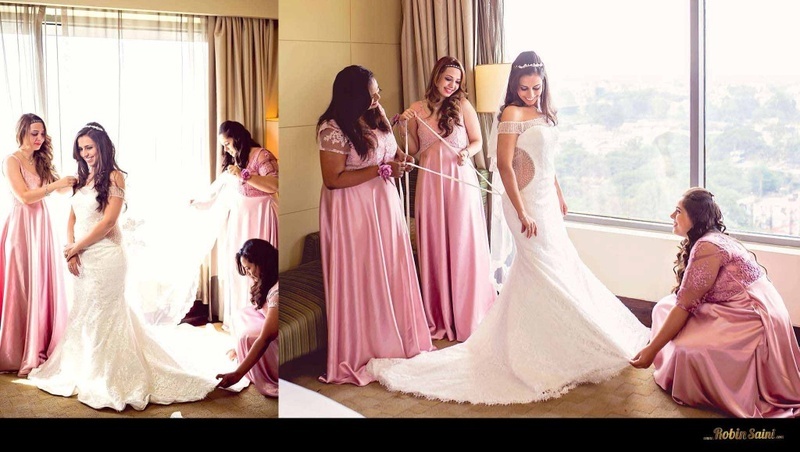 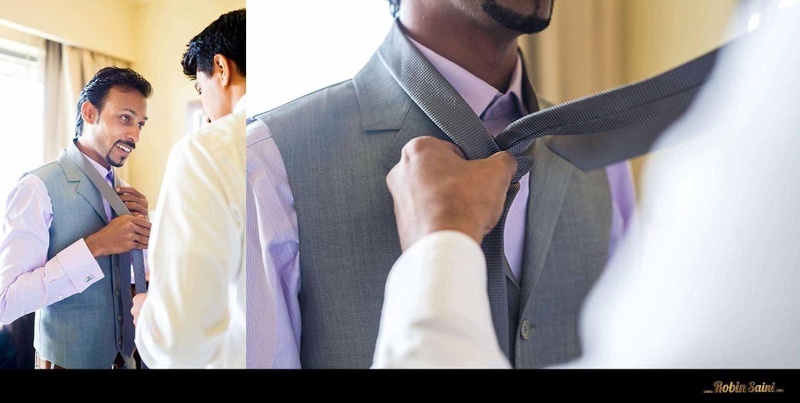 Her bridesmaids wore rose mauve floor length dresses while the bestmen kept it classy in sharp black suits. 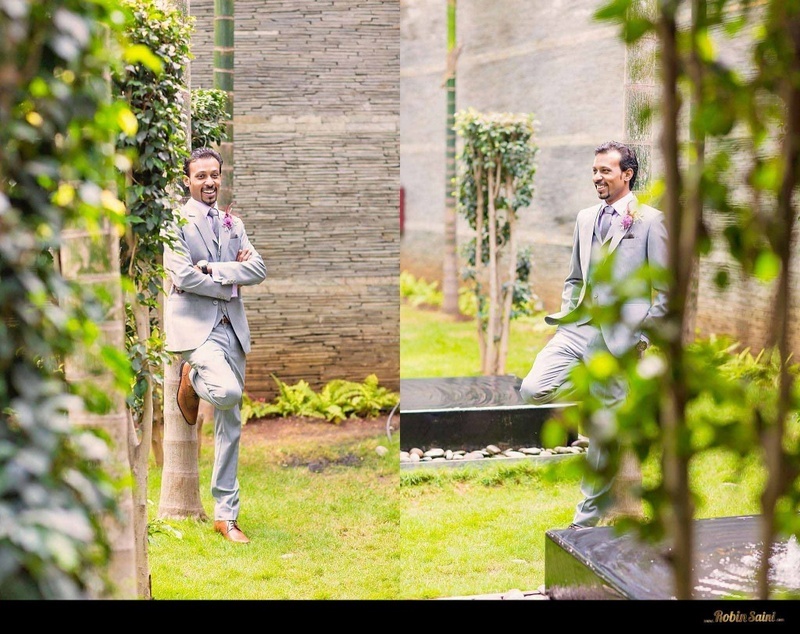 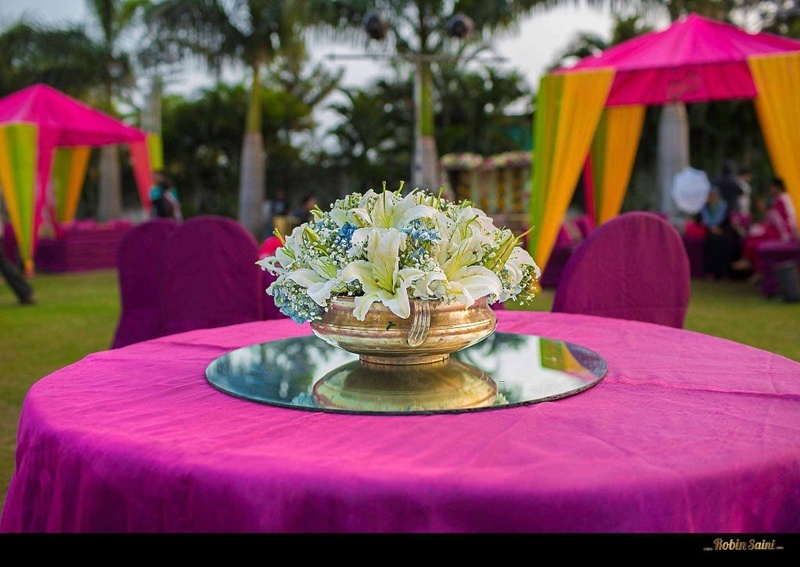 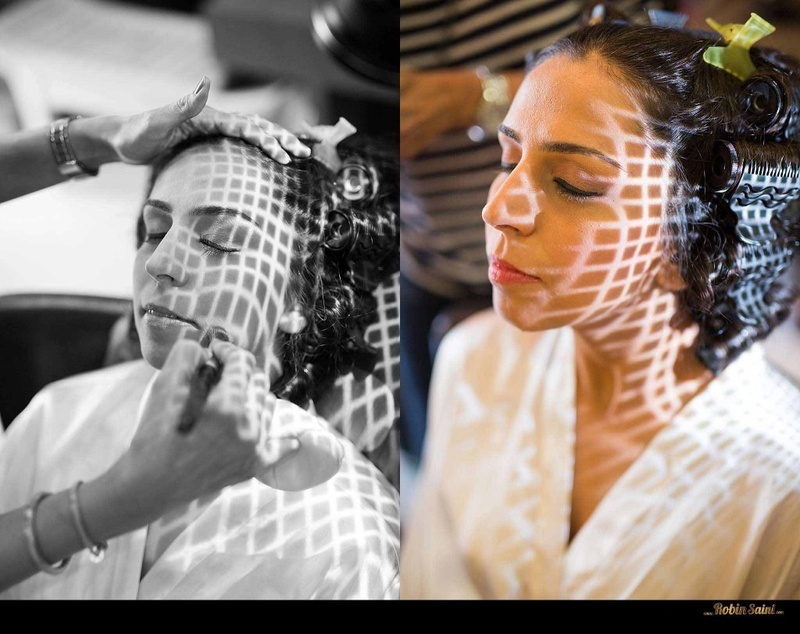 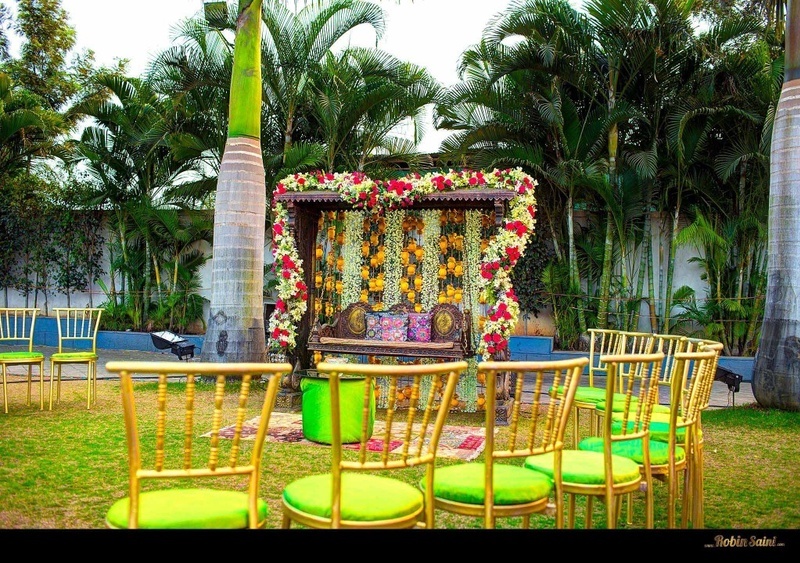 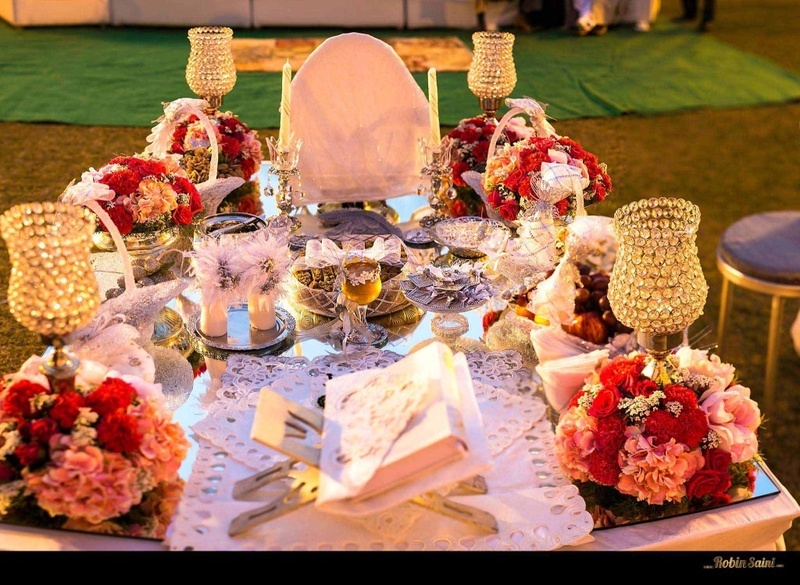 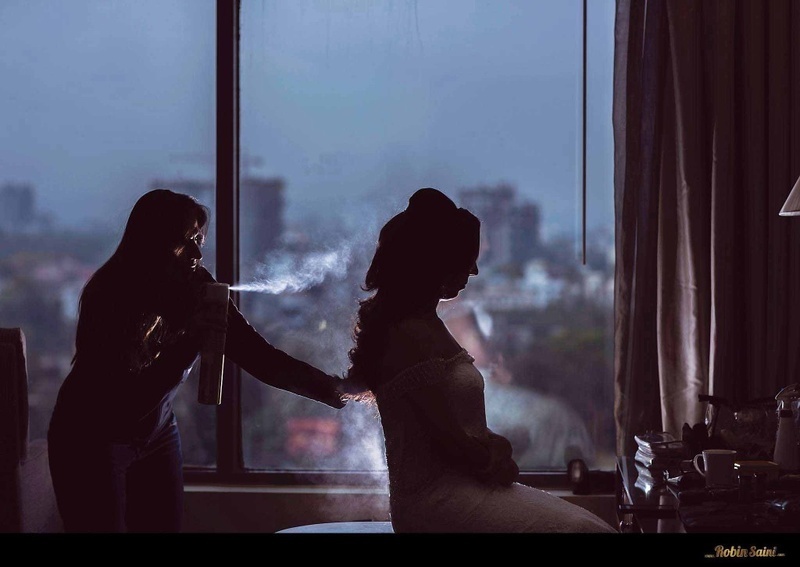 What to look out for as you scroll through this wedding, the breathtaking bridal bouquet adorned with stones, the gorgeous desi table settings and the exceptional bridal mehndi which was akin to a Chantilly laced blouse that adorned her arms beautifully. 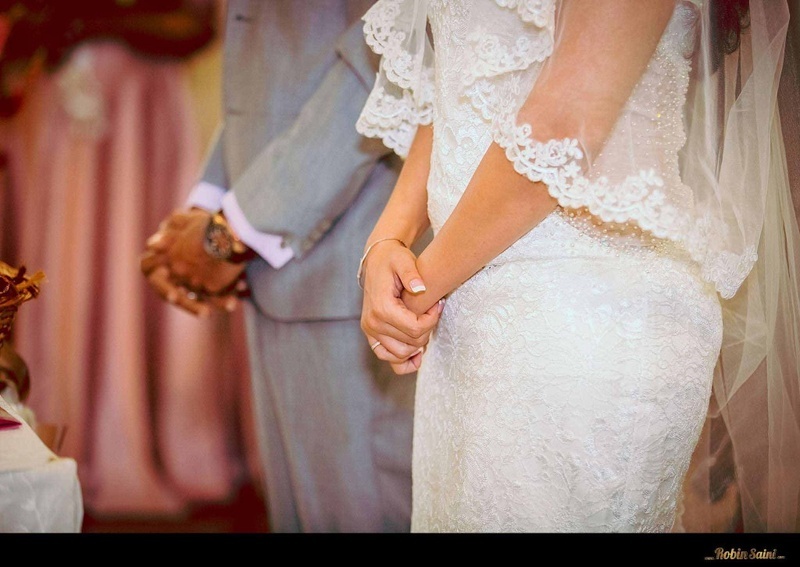 Drowing in the white dress! 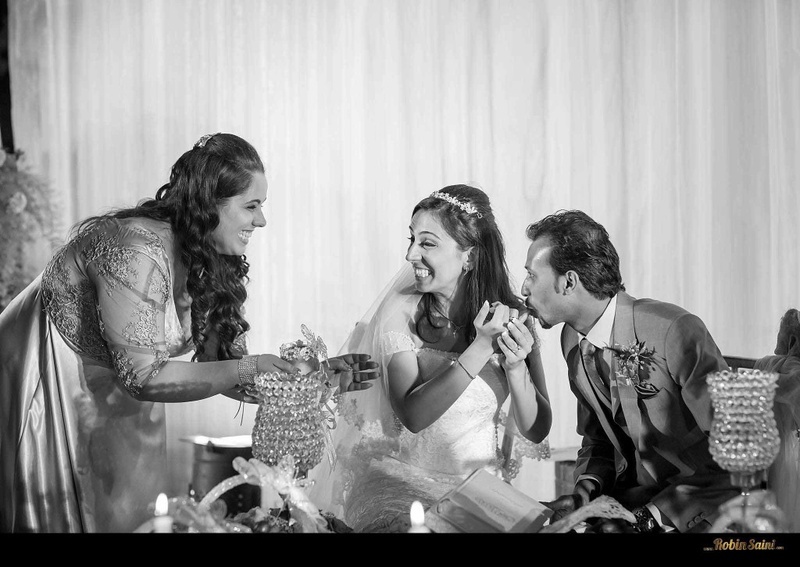 Can't get enough of him her eyes are glued to him, love over loaded?